What is Opencart Upgrdation to Any Version This is a Opencart Up-gradation Service. In Which We Upgrade your any Openart Old Version to Latest Version of Opencart. Service Include ✯ Support All Opencart Version. ✯ One Month Free Su..
What is Customer Self Account Delete Customer Self Account Delete extension is for the website who want that their customer will delete their account self. After installing this extension customer will get delete the account option on his acc..
What is Hindi Language Package? Hindi Language Package is a Language Package.In Opencart default language is English so if you want provide your customer to Hindi language for your site fronted.Mostly Hindi language is used in Cou..
What is Product Each Option Customer Group Wise Product Each Option Customer Group Wise is a Vqmod Extension.That will allow us to show product each option customer group wise Without Spoiling the Opencart Core File. Like. fo..
What is Recent View Product Recent View Product is a OCMode Extension.That will show Last/Recent View Product. Features ✯ OCmod Extension that doesn't spoil any code. ✯ Display Last/Recently Viewed Product ✯ Ea..
What is Product Each Option Multiple Customer Group Wise Product Each Option Multiple Customer Group Wise is a Vqmod Extension.That will allow us to show product each option customer group wise Without Spoiling the Opencart Co.. Product Option and Option Value Multi Customer G..
To enhance and for control all option from admin or for fully customization you can contact us. NOTE: You must need VQMOD install in your website. - Put File in root ->vqmod->xml folder. you must have to change desired location in v.. This is a Footer Specail Area extension. developed by Rahul Kumar Contact for custom use rahulraj427877@gmail.com Notes! You Need to install latest Vqmod for the use of this extension ,since it not make spoil your internal code .. 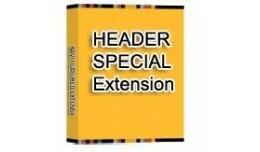 This is a Header Specail Area extension. 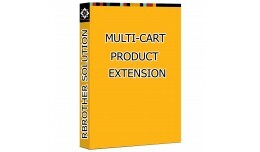 developed by Ravi Raj Contact for free Overnight Shipping ravikumar1986ravi@gmail.com Notes! You Need to install Vqmod for the use of this extension ,since it not make spoil your internal code so we ..
What is Product Each Option SKU Product Each Option SKU is a Vqmod Extension.That will allow us to add SKU for product each option Without Spoiling the Opencart Core File. Features ✯ vQmod Extension that doesn't spoi..